Among the toys, dolls are likely the most popular. I sometimes hear from familiar women: – “I did not play as a child in dolls, I liked cars”! These ladies are seeing today here are the cute little faces, I remember the touching moments from his childhood. But there is a large part of women and men who carry a love for them throughout life and even pour this love into their special creativity. It is to such enthusiastic lovers of dolls can be fully attributed Canadian artist and author of miniature dolls kids Camille Allen. For collectors of dolls-kids is the name is definitely familiar. Camilla creates amazingly cute, touching and realistic dolls. But at the same time, her baby dolls are miniature and can easily be placed in souvenir beds, strollers and even in eggshell. On the Internet, you can find a lot of articles about the creation of Camilla Allen today her dolls are bought in different parts of our planet. I am no exception. 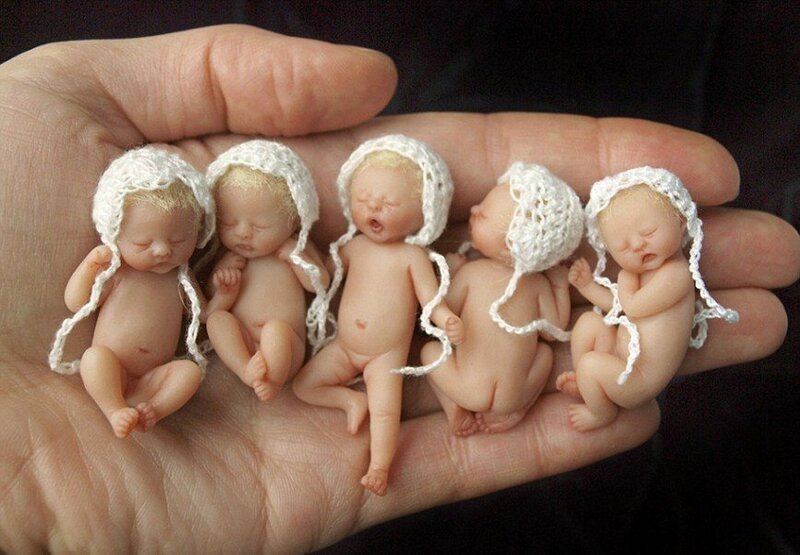 Ever since I started making doll clothes, I’ve seen photos of these beautiful babies on the Internet. 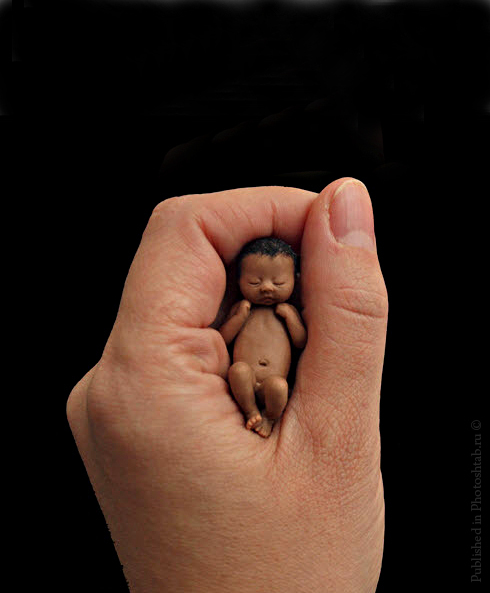 But I did not think that such a miracle would be part of my small doll collection. And, as often happens, quite by accident, I got it! My baby from Camilla has a surprisingly gentle name “Sunshine morning”! That name suits him very well. The child wakes up, stretches and soon opens his eyes. Some photos of knitted overalls for a miniature baby. White clothes to the baby by Camille Allen is amazing for lovers thus doll. http://camilleallen.com/ where you can see more adorable pictures.